When can we all admit that going mobile is not something that will happen in the future? It’s as if e-commerce is always on the cusp of the next best thing and we give little regard to what is happening in the space right here, right now. For example, I am constantly bombarded with articles/posts and entire sites proclaiming that mobile SEO is increasingly becoming important for businesses. This thinking is wrong, though I understand the intent. But the fact remains — mobile is not becoming important; it’s important right now. Like the title suggests, I’ve got good news and I’ve got bad news when it comes to optimizing for mobile. The bad news is you’re behind. It’s a cold, hard fact and it’s time to face the music. While you can technically view the company’s website on a mobile device, it is not optimized for that mobile device, and as you will find, Google does not look kindly upon sites, mobile or otherwise that don’t provide a good user experience. In fact, it’s the first item on Google’s “Ten Things We Know to be True” list. I’ll get to the good news a little later. The first step is admitting you have a problem with the concept of a mobile site. This may seem asinine to some, and nuanced to many, but allow me to explain. Having a “mobile site” is a loaded term that has the connotation of two separate sites – a desktop version and a mobile version (m.). This was the prevailing thought for much of the mobile search infancy, and there are multiple services that will create stripped-down versions of your desktop site specifically designed for mobile devices. Well, yes and no. While a segregated mobile site (as is prevalently advertised) is better than no mobile site at all, Google has specified that it prefers websites that adapt, or respond to multiple devices. Responsive web design is not a new idea by any means; Google’s been writing about it since last year and specifically prefers responsive design over all other mobile web configurations. As I said before, just because you have a website does not mean it is mobile. In other words, a site viewed on a mobile device is not always optimized for that device. In fact, Google will be weeding out from the search results sites that serve desktop pages to mobile devices. As in “Responsive Design.” Yes, it’s a buzzword, but there’s a good reason for that. Google prefers it over separate mobile HTML site. Though, if you have an m. site, don’t feel bad, Google still recognizes your site, as long as the site abides by mobile guidelines. I, too, am partial to responsive design, and here’s why you should be too. Responsive design accomplishes exactly what it sounds like. Sites with responsive design automatically adapt (or respond) to the various types of devices, mobile or otherwise, so usability stands to greatly benefit as a result. Content, images, navigation, text size all adapt to the size of the screen a user is viewing your site on. Think about it. 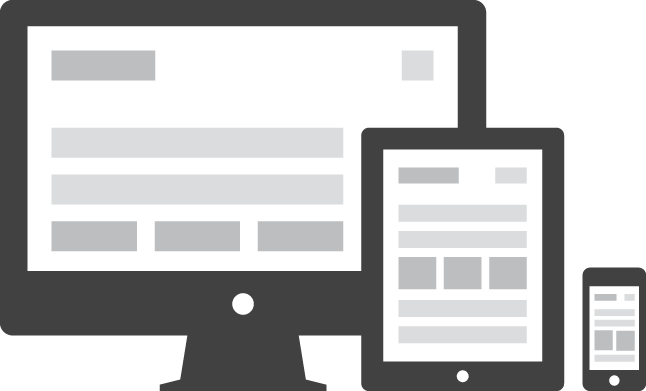 Responsive design allows your website to be accessible to all users no matter the device. No more squinting or double tapping to enlarge text on a mobile screen. Aside from the obvious usability benefits, mobile sites are easier to maintain and present better optimization opportunities because there is no need for multiple versions of the same site. This means not updating five different versions of a site for smartphones, tablets, phablets, etc. Maintenance and mobile SEO both benefit because the updating process is streamlined by a single website. That is to say, as a result of responsive design, the content on your site is the same content that will appear on a mobile device and it’s all the same to the search engines, especially when it comes to localized queries. A recent study on mobile search activity showed that 1 in 3 mobile queries are local, and after looking up local business on a smartphone, 61 percent of users called a business and 59 percent actually visited a business. 79 percent of smartphone users use their smartphones to help with shopping. 71 percent of smartphone users that see TV, press or online ad, do a mobile search for more information, but 79 percent of large online advertisers still do not have a mobile optimized site. There is marketing power in these statistics and even Google is getting on board mobile SEO in a big way. It doesn’t take much reading between the lines to know that if Google is an advocate, then we should be too. Google has been suppressing mobile results that do not provide optimized experiences for mobile devices. I have mentioned a big one: responsive design, but there are additional factors to consider when it comes to mobile optimization, including excessively slow mobile landing pages, placing links on your smartphone site to a desktop experience and vice versa and displaying videos that are difficult to play on a smartphone – anything that would take away from user experience. I previously discussed the bad news when it comes to your business, its mobile website and the experience it offers to users, but here’s the good news, as promised. The good news is that it’s never too late to have a truly responsive mobile website that is optimized to convey both a message and a streamlined experience for the user, which satisfies Google’s basic requirements of websites, mobile or otherwise. Coincidence? I think not. The fact of the matter is people have turned to mobile devices as a primary mode of accessing information online, and the better equipped you are as a business to market to a mobile audience right now, the greater the return on the mobile optimization investment. I just don’t know what to do now. I own a computer repair business and we get most of our business from the internet. So does having a regular dedicated mobile site help in the serps or what? Great article. Definitely agree that Responsive is the way to go. Custom developing mobile sites made sense a few years ago, but now the trend is definitely building on a responsive grid. Glad you found it useful, Mickey! This article gives me so much education about how to do SEO in mobile sites. Great tips. Nowadays mobile SEO playing a vital role in all busniesses. Thanks for the share. Thanks, Mark – appreciate the kinds words. Mobile is huge; there’s no denying it, and any forward thinking business that ignores it is not as well-equipped as the business that does, really no matter which rout they take with either responsive design or an m. site. Rob, Thanks for the comment. I got into this exact same conversation with a client yesterday, and not to give away too much information, we discussed how there are advantages/disadvantages to both. The big kicker is that Google prefers one over the other. Whether or not the preference amounts to anything is debatable. Well said Matt, yes by owning a responsive website for online business will increase the traffic. Nowadays people are often using Smartphone to accessing internet and purchasing. So by having responsive website we can engage both PC and Smartphone visitors. I agree with you that mobile marketing is already here and your quoted statistics show the benefits to any business owner of a mobile marketing campaign. At Turn The Page we are currently discussing (actually we argue a lot) whether a responsive site (all our site builds are responsive)should also have a mobile site. The #1 from Google is focus on the user and we feel that even a responsive site does not necessarily provide a great user experience on a phone when compared to a dedicated and simplified mobile site.